This shows my experience and tutorial from moving from XBR to freeBoot. First we are going to need some things. 1. Using the CPU Key tutorial, obtain the CPU key and save it to a txt file for future use. 3. Obtain that file, via the flash drive or connecting your hard-drive to your computer from one of these methods. 4. Open that file in a preferred Hex Editor. 6. Record that 4 digit number in the same txt folder as your CPU key. 7. Obtain via Google or elsewhere the 1BL Key. 8. Copy that key to that same txt file too. 9. Your txt file should now look similar to this. If you have all 3 digits, then continue. Otherwise, please re-read steps 1-9. 10. Extract the freeBoot package. 14. Change Directories to this location. cd full location to files. 1BLKEY = Key from Step 7, the 1BL Key. 16. This should error out, since it is an XBR file, and not a clean file. Ignore the error and continue. 19. You should have a lot of files. 21. Traverse the file system of the mobo_files opening your mobo revision, and then CB0 type. 22. 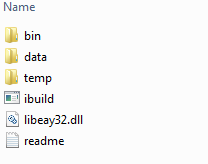 Copy the files (crl.bin, crl.bin.meta, extended.bin, extended.bin.meta, odd.bin, odd.bin.meta, secdata.bin, secdata.bin.meta) from the mobo folder into the freeBoot data folder. 26. Hit enter and the process should complete without errors. If it does error, restart my tutorial right now. 27. There is now an image.bin file in the bin folder that happens to be the same size as your XBR dump. 30. Click A, B, A and that will re-flash that image to your xbox. 31. If anything errors, restart my tutorial again. 32. If all succeeded the xbox 360 should restart.